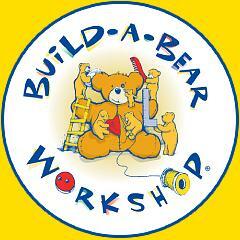 My kids, especially my daughter, LOVE Build-A-Bear Workshop! We have gone to a few birthday parties there, on a couple just because occasions and my daughter even had her 3rd birthday party at Build-A-Bear Workshop! This holiday season, Build-A-Bear Workshop® is inviting you and your family to get your wish on. With brand-new furry friends from the latest holiday movies, classic and celebrity characters, hi-tech Kinect enabled bears, gifts that give back, holiday traditions, customized presents and fun stocking stuffers, Build-A-Bear Workshop will be on everyone's wish list this year. From those searching for the perfect stuffed animal for that special someone to a child discovering the joy of creating a personalized furry friend, Build-A-Bear Workshop invites you to check out the array of gift options that are sure to bring smiles long after the season is over. 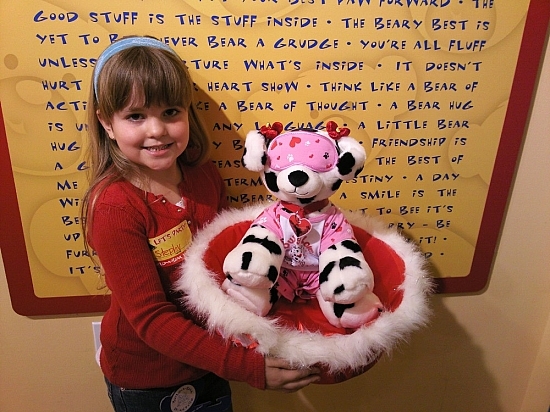 One of the best things about Build-A-Bear Workshop is the opportunity to make or buy a unique gift, add a customized, signature sound or embroidered message and give it to someone special. From newlyweds to new parents, sports fans to foodies, tweens to tough guys, Build-A-Bear Workshop has something for everyone and every budget. What could be more personal than LIVE elves, ready to talk to your child about his/her wishlist? Thanks to our friends at Build-A-Bear Workshop, your family has a direct line to Santa and his little helpers! By visiting http://play.buildabear.com/, your child can create their own wish list with one of Santa's elves and tell them what they want for Christmas! Parental agreement is needed for all children under 13.
Who doesn't love a great deal, especially during the holidays? Build-A-Bear Workshop knows Moms want to stretch our "bear bucks" as much as possible, which is why they're introducing a great promotion this season. Now through 12/18/11, you can purchase any animal PLUS any outfit for just $24.99 (USD). That's a great price for a friend that will last a lifetime! **Disclosure: I was entered for a chance to win a Build-A-Bear Workshop gift card in exchange for this post. No monetary exchange took place. All opinions are my own.